The Zentral Center is an adults only hotel expanding across seven elegant floors, near the Playa de las Americas Beach, Tenerife. Offering spacious rooms furnished in contemporary décor, this central hotel promises a comfortable stay with a medley of guest amenities and warm hospitality available. Offering an amazing swimming pool, two saunas and a jacuzzi, plus a solarium terrace for adults only guests seeking quiet moments - guests will experience ultimate R&R during their stay. 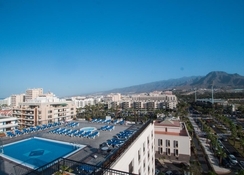 Hotel Zentral Centre is close to some of Tenerife’s tourist attractions, including the enchanting Old Town, Los Cristianos Market, plus many of the resort’s sandy beaches. The Zentral Center boasts of a strategic location, among them several top beaches and tourist attractions. 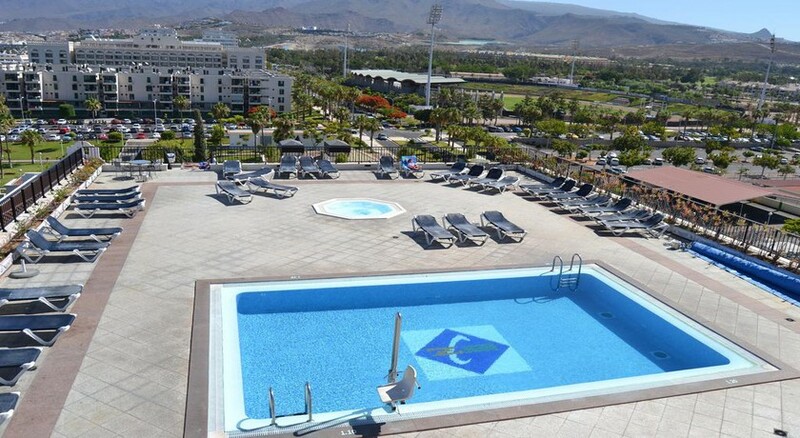 Playa de las Américas and the beaches in Los Cristianos are all located within close proximity to the resort. The Old Town has meandering cobblestone paths and pretty town squares which are great for exploring. The Almácigo de Arona centenary tree is a monumental tourist spot nearby, around 9m of height – or if you want a faster change of pace, iconic Siam Park is a fun-filled theme park just 1.6 km away. There is the buzzing Los Cristianos market to shop in and the medieval San Antonio Abad Church to visit. Distance from Tenerife Sur Airport is about 15km. The Zentral Center is an adults only hotel with 208 well-appointed guestrooms each featuring air conditioning, a telephone, hairdryer, minibar, satellite TV, ironing set, a safe (rental) and spacious wardrobes. The rooms come in single, double or triple guest accommodations and offer amazing views of the resort. The hotel has only one restaurant which serves breakfast, lunch and dinner. Room service is also available. 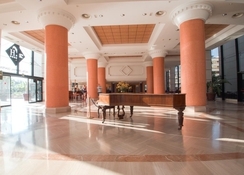 The hotel has a host of amenities to suit its guests day and night. The large outdoor swimming pool offers splash-tastic fun in the year-round sun, and is perfect to relax by. Massages can be availed for a charge if you wish to be pampered, or there are facilities including tennis available to take part in. The hotel arranges bicycle rental at an additional charge if you wish to explore the surrounding area on two wheels, or why not explore the golf course just 3km away? poor evening meals....breakfast is breakfast but the evening meals never actually said what the food was. if I went back it would be halfboard.